This post is by Dr Katherine Firth, research fellow at Latrobe University. Katherine blogs over at Research Voodoo. As you probably already know Inger, Shaun and I are writing a book about Academic Writing Trouble and How to Fix It that distills the advice you would get if you took us out for lunch and asked us your most pressing questions. I’d love to have lunch with every single one of you, but currently I’m making do with the connections you can maintain on Twitter (I’m at @katrinafee and I tweet about writing, higher ed, food, social justice, and self-care) and via a blog (Research Degree Voodoo is 5 this year! https://researchvoodoo.wordpress.com), and hopefully soon via the book—they are all safe places where you can sit me down and go: ‘huh, this PhD thing, how does it work again?’. This blog post is based on two sections from Chapter 5 of the new book. In turn, those chapters were developed from the article that has been consistently the most popular post on my own blog for the last three years: ‘10 tips for more concise writing’ (https://researchvoodoo.wordpress.com/2015/06/12/10-tips-for-more-concise-writing/ ). The post talks about all the filler words you should cut to clear up what you mean, and get back under the word count. Is your writing described as ‘wooly’, ‘waffle-y’, ‘soft’, ‘cluttered’, ‘baggy’, ‘windy’, ‘verbose’ or ‘muddy’? Do you have hundreds (or thousands) of words over your word count, but instead of half writing the next book, you just have loads of dead wood? Are you nervous about putting forward your ideas and so avoid saying directly, instead putting a pillow of nice, soft, careful, words between you and the reader? That’s pretty clear when it comes to chairs, but how do we do this when it comes to writing? Filler words (or pleonasms) are common words or phrases which can creep into your writing without conscious awareness that don’t add anything to the meaning. While some of these fillers are conventional, many filler words are pointless ‘stuffing’ that can be eliminated from your writing without losing meaning. I do add these filler words in when I’m writing a blog post, to slow down the pace of dense information and to sound more conversational (the writing style equivalent of ‘grab a cuppa, sit down on the sofa and put your feet up, let’s have a chat’). An academic thesis is supposed to be dense and formal, so we take the squidge out. At the end of this post, I include a bumper list of common filler words and phrases which you can use to search and pull them out of your text, and strip it back to something more official and functional. Many filler words are the equivalent of ‘um’ or ‘uh’ in our writing. They keep the words moving while giving us a second or two to think about what is coming next. This is great for drafting because it keeps the words flowing, but while you are polishing up your writing you need to go through and delete them. I personally find getting started on the next sentence often a real effort, so I frequently start a sentence with an unnecessary filler word, like ‘Furthermore’. Signposting words in writing are just like GPS directions: you want the voice on your phone or satnav to let you know ‘in 500m, turn right’, but you don’t want a voice interrupting every 30 seconds to tell you ‘continue straight for 500m’. When we are actually changing direction, words and phrases like ‘however’, ‘therefore’ and ‘in conclusion’ are really useful. If you have these phrases in every other sentence, or multiple signposts in a paragraph, you can probably delete them as excess padding. There are lots of saggy stock phrases that we use to connect sentences or to signpost. You might need to signpost that you are using an point made by another scholar, or changing direction. Write ‘Pung explains’, or ‘First I will demonstrate’, rather than a longer, fluffier version, like ‘as Pung makes clear’ or ‘In order to understand this phenomenon we must first assess’. Replace saggy phrases with a more streamlined version. Some writers use questions as stuffing too. If starting your paragraph with your research question makes it easier to draft a coherent reply, then go for it. Just make sure to take them out before you hand them in. On the subject of questions, I personally feel you should not use rhetorical questions in a thesis. The job of the examiner is to ask the questions, it is the job of the candidate to answer them. We are not in the Agora of Athens, rhetorical questions are not required. 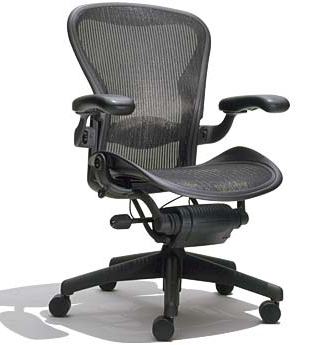 While your ergonomic office chair should be streamlined, you don’t have to take out all the softness! We also use stuffing words, called ‘hedging’ terms, to imply uncertainty or openness to debate. You might use hedging words to avoid overstating claims, for example, ‘Using chlorine on wands may reduce the prevalence of wand weevils’, or ‘From the data, it is likely that adding red stripes makes Quidditch gowns more aerodynamic’. You also use hedging terms when we need to ‘soften’ a sentence that can sound abrupt and rude without it–the secret here is to have just enough padding not to poke the reader. ‘Smith is wrong to claim…’ is probably too harsh. ‘It has been claimed by scholars including Chang (1986) and Lorenzo (1992) that Smith’s claim is overstated,’ is probably about right. Two or three sentences futzing around not getting to the point is probably too much. 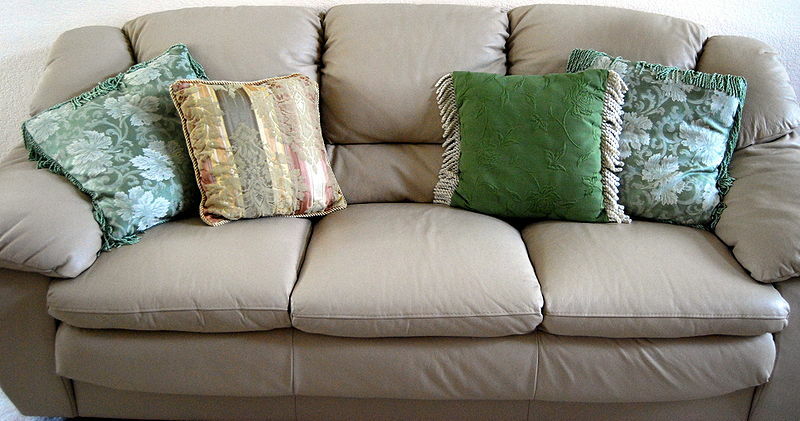 Okay, so it’s now time to go through our cluttered, overstuffed text, take of the cushions and strip it back to something more useful and streamlined. Fortunately, search and replace makes it easy to find all your ‘moreover’ and ‘makes clear’. Decide whether you delete the phrase, or replace it with a less fluffy version, when you get to that final polishing stage of writing. The suggestions on this list are influenced by Helen Sword’s The Writer’s Diet , Stephen King’s On Writing, Patrick Dunleavy’s Authoring a PhD , and the Hemmingway app —all very much recommended if you want to take this process further. At the same time, use the list with moderation and intelligence. All successful writing is a negotiation between you, your information, your readers, and the possibilities of language. There aren’t really any hard and fast rules. Phrases that gesture to places: delete or be more specific. ‘am, is, are, was, were, be, and been’ can suggest passive language, rather than active verbs. anything with the suffix -ion, -ism, -ty, -ment, -ness, -ance, -ence. Anything with the suffix -able, -ac, -al, -ant, -ary, -ent, -ful, -ible, -ic, -ive, -less, -ly, -ous. Suffix addition on the end of a word. A part of a word that is added to the end of the word, like ‘-ual’, ‘-ize’, or ‘-ate’ or ‘-ion’. Turns ‘concept’ into ‘conceptual’, which can be turned into ‘conceptualize’, which can be turned into ‘conceptualization’, which is why this is such a horrible word.